Sureview Iv Securement Dressing: This Dressing Offers Added Support And Securement Of Iv Catheters, While Permitting Insertion Site Visualization! The Nonwoven Border Frames The Site, Helping To Keep The Site Secure, While The Slit Snugly Wraps Around The Catheter Hub. Each Dressing Includes One Piece Of Foam Tape (To Cushion/Support Iv Catheter Hub), One Piece Of Nonwoven Tape To Secure Tubing, And One Id Label To Mark Date/Initials. 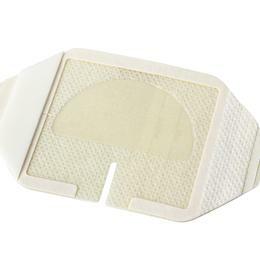 The Dressing Is Available In Two Sizes To Fit Most Standard Catheter Situations, Such As Picc And Central Line. 2-3/4 X 2-3/8.